Motel within a walking distance to Busan station! 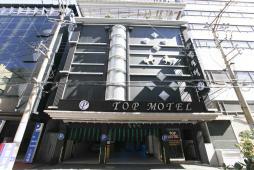 Top Motel is conveniently located at a walking distance from Busan station, the center of transportation in Busan. Top Motel is suitable both for sightseeing travelers and business travelers as all rooms have free Wi-Fi and the motel takes care of EMS shipment. It is only 1 station down from Busan Port Authority (departure/arrival port of Beetle) and 5min. by taxi to the hotel. There is also a convenience store nearby the hotel. You can fully enjoy Busan as the hotel keeps your luggage after check-out.